Now, we appreciate that Amazon has the monopoly on ebook readers. The Kindle, in all its forms, is a great way to consume your favorite novel and Amazon has a staggering large and efficient infrastructure to get those books to you. We’ll be breaking down which Kindle is best, depending on your needs, but there are alternatives out there. Screen quality, battery life, and sturdiness are all important parts of the decision making process. Here are our favorites, and why. The Kindle Paperwhite is the kind of ebook reader that works for pretty much everyone. It’s the most popular of Kindles, and there’s a good reason for that. It offers a high resolution which means crisper lines when reading, as well as clear typography. Its battery life easily lasts about 6 weeks, assuming you read for about 30 minutes a day with the Wi-Fi switched off. There’s also an adjustable built-in light which means eyestrain can be a thin of the past. The downside? Well, it’s not waterproof but, more importantly, it doesn’t come with a ‘proper’ charger. Instead, you have to buy a separate power adapter or rely on charging through the USB of another device, such as your laptop. That’s a pretty minor ding, however, as practically everyone has a USB charger of some sort these days and you certainly don’t need the newest and most powerful charger for the Kindle. If you’re giving it as a gift and want to be sure the recipient has a matching charger though, you can pick one up here. Kindles are typically competitively priced, making $250 for the Kindle Oasis sound very expensive. It’s a pretty upmarket product though, a true flagship. 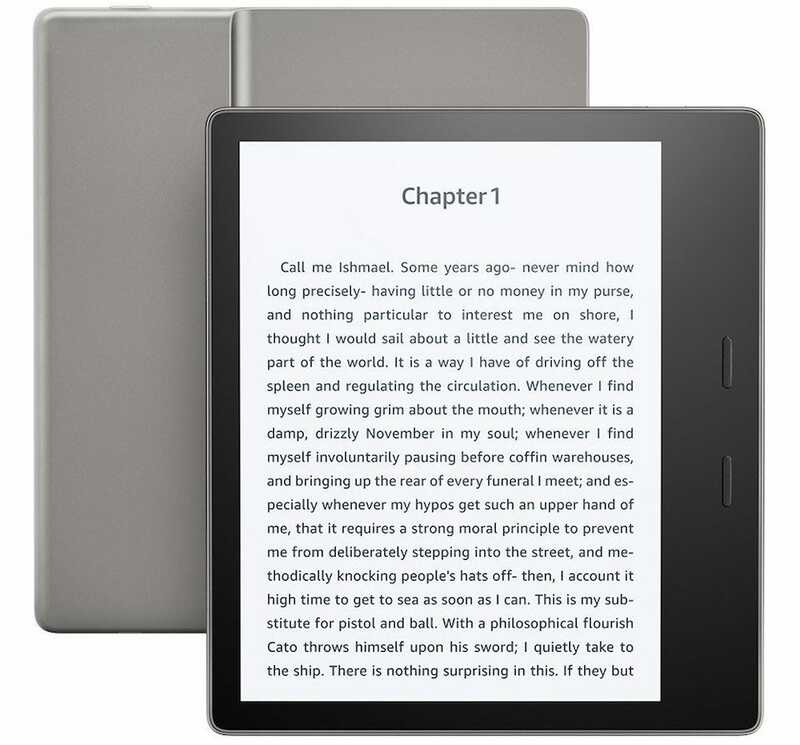 With a 7″ screen size, it offers an inch more screen space over other Kindles but it’s also the thinnest and lightest Kindle yet. It brings back dedicated buttons for page turning, ensuring the process is effortless. There’s a handgrip too which makes it far easier to hold onto for extended periods, plus the screen auto-rotates so you can easily switch between hands or vertical and horizontal orientation. The idea is that the grip simulates the spine of a paperback, so this feels the closest to a ‘real’ book you’re going to get with an ebook reader. As with other Kindles, the battery life runs into weeks rather than days, although you’ll still need to buy a separate power adapter. And there’s the small matter of the Kindle Oasis being the first Kindle to be waterproof — up to 2 meters deep and 60 minutes in fresh water. Want a premium ebook experience but you’re not a fan of Amazon? 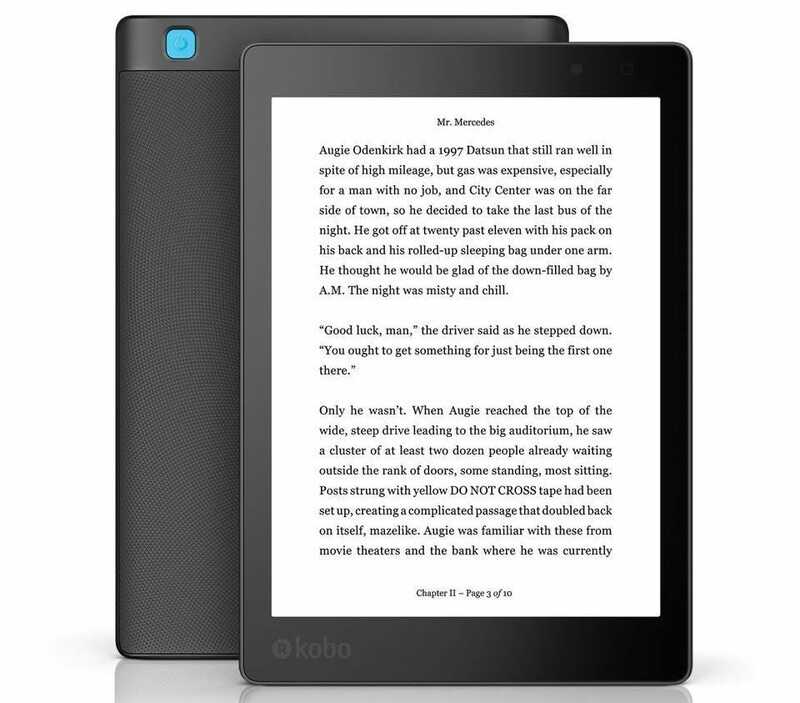 Consider a Kobo ebook reader which gives you access to the 5 million+ titles in the Kobo eBookstore, but obviously steers clear of anything Kindle store related. With the Kobo Aura One, you get a fairly sturdy ebook reader. It’s dust proof and water proof, but its the 7.8 inch screen size that will tempt you the most. The large screen size means it’s heavier than most ebook readers, but it’s great if you want something that’s more akin to a regular sized book, or you suffer from a visual impairment and want plenty of space to enlarge the font and still see a lot of text on one page. It offers 11 different fonts, as well as over 50 font styles, so it’s easy enough to find a look that works for your eyes. A blue light reduction at night further adds to the benefits for your sight. Ok, so you could buy a regular Kindle for the same price as the Fire HD 8 Tablet, but it’s quite limited and dated. As an ebook reader, the Fire HD 8 Tablet is pretty great. It’s tied into the Amazon ecosystem, as you’d expect, so there are millions of books for you to download and read, as well as the option of subscribing to Kindle Unlimited for $10 a month and reading as much as you want. 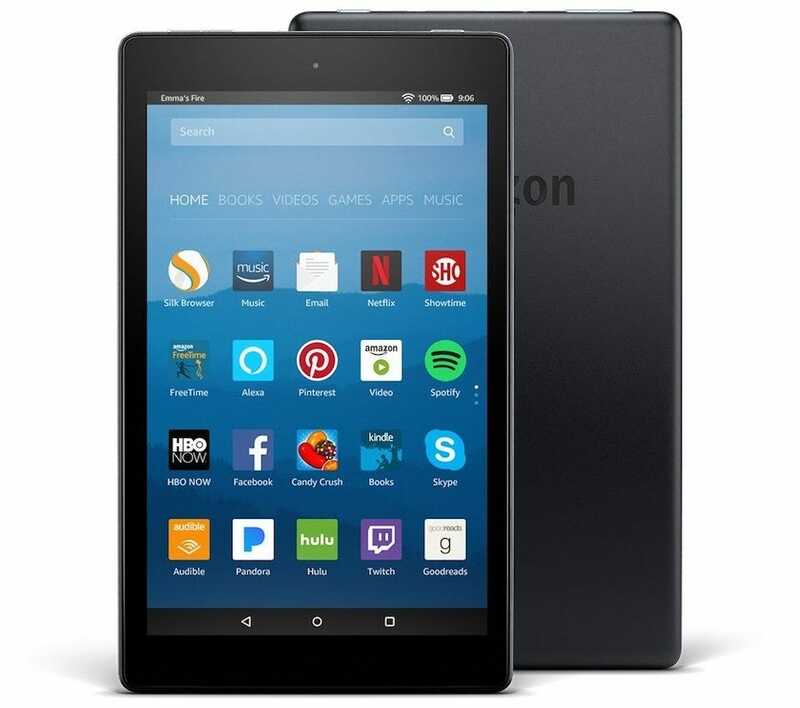 The Fire OS includes Blue Shade — an exclusive feature that automatically adjusts and optimizes the backlight for a a more comfortable time reading at night. There’s Alexa support too, as well as countless apps for you to enjoy, including Amazon Prime Video, Netflix, Facebook, Spotify, and more. The catch? Well, the battery life isn’t as great as on a conventional Kindle. 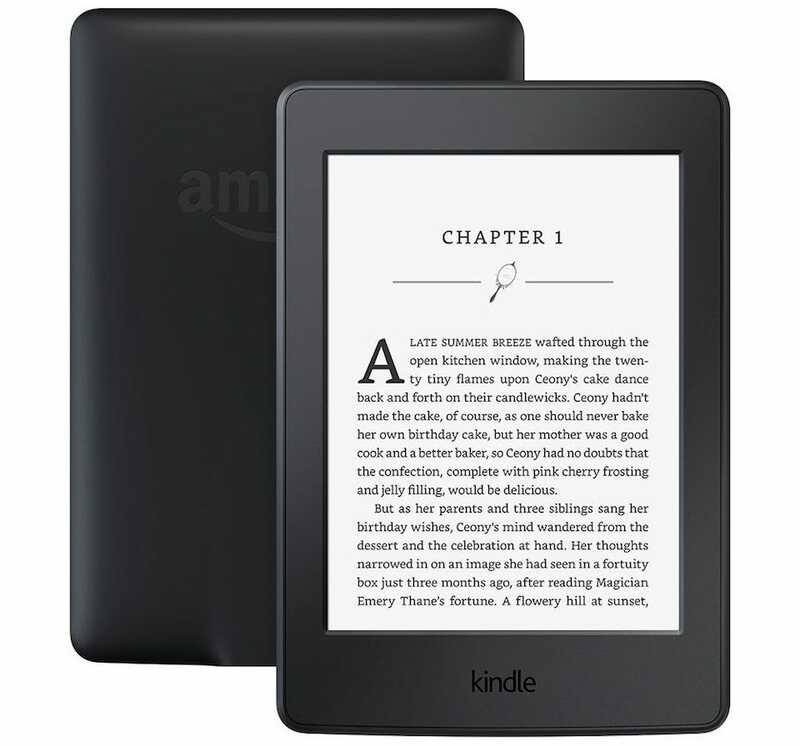 Amazon claims up to 12 hours, which is far shorter than if you had a dedicated ebook reader. If you need something that rarely requires charging, stick with the conventional budget Kindle. However, if you’re looking for something with more variety (especially if you’ve never owned a tablet before), this is a great middle ground for all your entertainment needs, ebooks included. Did you love the idea of physical buttons on the Kindle Oasis but balked at the price? The NOOK GlowLight 3 might be right for you. Barnes & Noble has done a valiant job getting a contender in the ebook ring in and this particular NOOK is a pretty polished offering for the price. The GlowLight sports crisp text on a high resolution screen and the night mode adjusts the screen lighting comfortably to reflect the lighting around you. A single charge can last up to 50 days of reading which is great if you’re traveling around and don’t know when the next charging opportunity will be. Where the NOOK GlowLight 3 stands out most, however, is its comfortable design. It’s easy to grip thanks to its soft touch finish, so your hands won’t cramp up after extended use. Like the Kindle Oasis, it has dedicated buttons for turning the page which feels more satisfying than other methods. 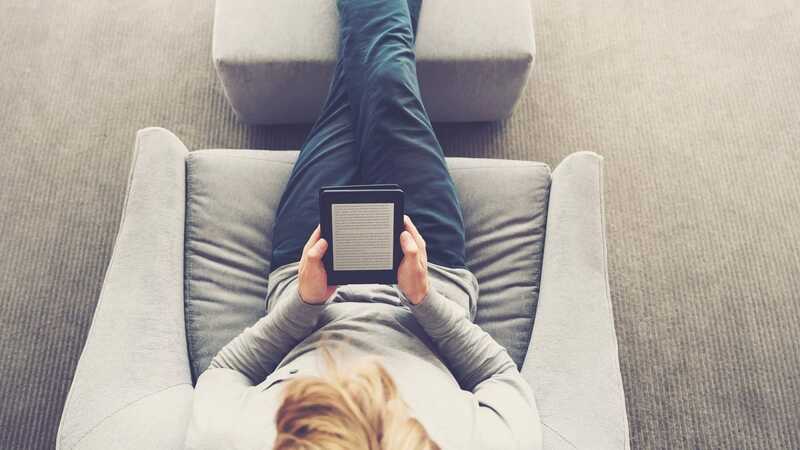 It’s ideal if you’re not too worried about access to the Kindle ecosystem and, like all the other readers in this roundup, you can always tap into Overdrive with your library card.